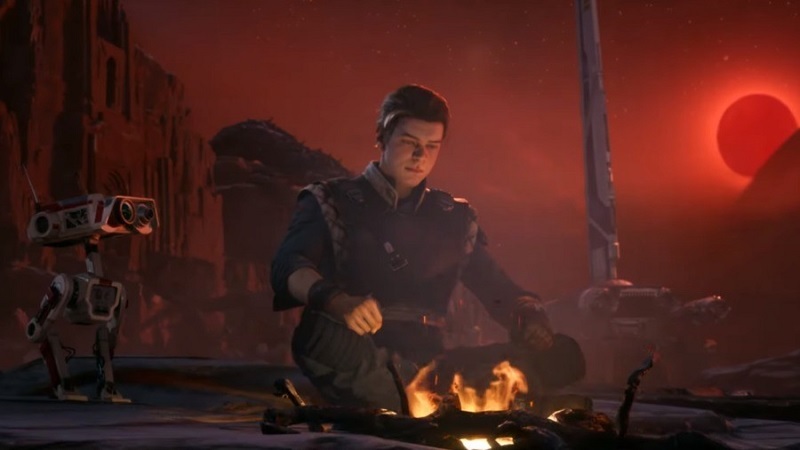 Star Wars Jedi: Fallen Order follows the story of Padawan Cal Kestis who’s on the run as he’s hunted by the Empire. One might think that the game will encourage players to stealthily escape the enemy but that’s not the case. Respawn Entertainment’s Game Director, Stig Asmussen, has told IGN that although players may come up with ways to avoid alerting AI, Jedi: Fallen Order doesn’t feature stealth mechanics as it encourages players to engage in combat using lightsaber and Force powers. I’ve heard that from a couple people and I can understand why, but no, stealth isn’t something that we’re featuring in the game. You can jump into a situation and negotiate the battle the way that you want. There’s a lot of choice in how you come across your enemies and take them down. You could potentially, if you wanted, sneak around and not get the AI’s attention. I guess that’s technically possible. It’s not something we’re openly encouraging. We want the player to have fun and the power fantasy of having a lightsaber and Force powers and stealth doesn’t really fit into that or this game. Describing the game’s key features, Respawn emphasized on “cinematic, immersive” combat that encourages players to use its “innovative” lightsaber system to strike the enemy, parry, and dodge attacks alongside using the Force abilities. The developer noted that the combat system is easy to pick up but takes some practice to master as players will continue to acquire new powers and abilities as the story progresses. Star Wars Jedi: Fallen Order will release on November 15, 2019 for the PlayStation 4, Xbox One, and PC. Make sure to check out our recent coverage for information about the game’s story, setting, preorder bonuses, and much more. So far so good? Let us know what you think!